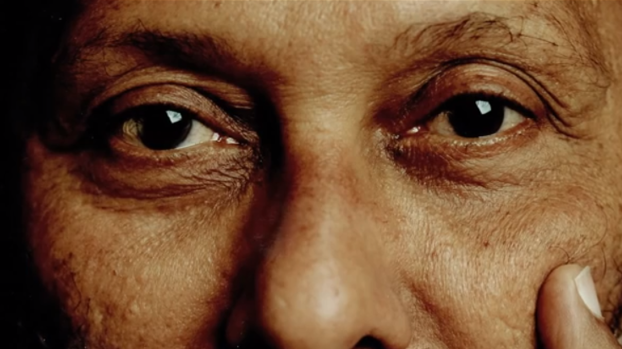 Stuart Hall was undoubtedly one of the most important academics of our time. His work on culture, globalization, ethnicity and representation has not only influenced multiple fields within academia, but has had reverberations outside of university walls and scholarly journals, a feat that is not as common as one would hope. This is perhaps what initially drew me to Stuart Hall: the concrete links I could make between his work and my own experiences. Growing up as a mixed-race child (Dutch-Egyptian) in Zambia, a country neither of my parents was from, often meant being especially interested in questions of race, ethnicity and belonging. This often led me to the theme of representation, and how power relations are embedded in who represents what, and when. In this short piece, I want to discuss Hall’s work on these topics as a way of showing how formative he has been to cultural studies, postcolonialism, and race and ethnic studies. This is clear not only within the ivory towers of academia, but also in the everyday lives of many people of colour who have repeatedly found inspiration and relevance in his work and the ways in which it mirrored and unpacked daily experiences of race, ethnicity and power. The first piece I read by Stuart Hall was Cultural Identity and Diaspora, published in 1990. His call to analyze the subject positions from which we speak resonated deeply with me, especially as I could easily draw parallels between that and feminist calls to situate oneself vis-à-vis our research and our praxis in order to challenge the assumption of neutrality. Hall writes, “We all write and speak from a particular place and time, from a history and a culture which is specific. What we say is always ‘in context,’ positioned,” (1990, 223). He then went on to talk about his own cultural and racial background, and how this impacted his work. While this may seem commonplace within postcolonial and feminist writing, I remember being quite taken aback by his decision to share such personal information in an academic space. Having had a background in sociology—which has been described by some as a collection of writings based on the work of men from five European countries —Hall’s insistence on openly situating oneself as both a product and agent of culture seemed to go against most of what I thought to be “good academic writing.” And yet, it made complete sense. The second time I came across Stuart Hall was in a class I took for my MA in Gender Studies. This time the focus was on his work on representation: the ways in which power relations construct and reproduce the kinds of knowledges we have about specific places, peoples, and so on. Through the lens of representation, Hall addressed the extreme trauma of colonialism: “The ways in which black people, black experiences, were positioned and subjected in the dominant regimes of representation were the effects of a critical exercise of cultural power and normalization,” (1990, 225). He goes on to draw on Edward Said’s conceptualization of the colonized being constructed as different and Other, as well as Foucault’s reminder that every regime of representation is a regime of power/knowledge. What struck me at the time, and continues to register as extremely relevant to the field of postcolonialism, is Hall’s emphasis on how these representations of the colonized were internalized by the colonized: “They had the power to make us see and experience ourselves as ‘Other’,” (Ibid). This is similar to Fanon’s work on the psychological effects of colonialism, a subject that unfortunately remains somewhat understudied in the field of postcolonialism. As Hall writes, “It is one thing to position a subject or set of peoples as the Other of a dominant discourse. It is quite another thing to subject them to that ‘knowledge’,” (Ibid). It seems to be that we are still struggling with the effects of these legacies, as well as the reality that neocolonial processes continue to produce and reproduce these representations, and that these representations have very material effects. One only needs to be reminded of the ways in which Orientalist representations of Afghan women served to partly justify the American invasion and occupation of Afghanistan. When I began researching Antonio Gramsci and his work on hegemony, I was especially excited to find that Stuart Hall had written an article on how Gramsci relates to studies of race and ethnicity. Hall unsurprisingly finds some affinity with Gramsci, as Gramsci also drew largely on his experiences and his connections to society and the worker’s movement. In other words, he situated his theorizing within these lived experiences, as did Hall by constantly positioning and contextualizing himself in relation to his work. Hall rightly points out that Gramsci did not write on the colonial experience. Nevertheless, the concepts he developed can be applied to several pertinent questions in the field. One example is the way in which Gramsci theorizes the state as exercising moral and educative leadership. “It is not a thing to be seized, overthrown or ‘smashed’ with a single blow, but a complex formation in modern societies which must become the focus of a number of different strategies and struggles because it is an arena of different contestations,” (Hall 1996 435). Hall rightly goes on to apply this to the postcolonial context, where it is clear that revolutionary movements need to conceptualize the state in a more complex manner if they want to truly disrupt hegemony. This resonated with me particularly in relation to the 2011 Egyptian uprising, and the complex ways in which the Egyptian state is imbricated with specific social forces and economic interests, and the extremely complicated and layered nature of the state apparatus itself. Another example is Gramsci’s conceptualization of ‘common sense,’ which presents itself as truth but which is in fact a product of historical processes. Common sense is fluid and constantly shifting, and yet has immense ideological power. Again, it is clear that this can be linked to questions of race, representation, and the postcolonial conditions. Hall’s work on representation, for example, attempts to unpack some of these ‘truths’ and situate them as historically produced. Importantly, Hall concludes the piece by showing that despite Gramsci’s Eurocentrism, many of his formulations remain invaluable to the field of postcolonialism and race studies. Years later, I find myself returning to Stuart Hall and still finding new concepts and ideas to consider. As my own research interests shift and grow, it seems as if the knowledge found in Hall’s work and life provide endless inspiration. Thinking about current events in Egypt and the role of nationalism made me once again revisit Hall and his work on cultural identity, and its explicit link to anti-colonial struggles, as “Our cultural identities reflect the common historical experiences and shared cultural codes which provide us, as ‘one people,’ with stable, unchanging and continuous frames of reference and meaning, beneath the shifting divisions and vicissitudes of our actual history. Such a conception of cultural identity played a critical role in all the postcolonial struggles that have so profoundly shaped our world,” (Hall 1990, 223). He links this to Fanon’s work on culture and the anti-colonial struggle, and I find both of these extrapolations extremely pertinent today as we see nationalist rhetoric become increasingly visible in multiple postcolonial settings. In writing this piece, I found myself repeatedly going back to my childhood experiences of watching specific television shows (Disney movies come to mind straight away), viewing film,, and reading specific kinds of literature, and am keenly aware of how my exposure to this Westernized body of media conditioned certain representations of who I was. Looking back, I can somewhat delineate what I thought the Netherlands was and what I thought Egypt was, and by extension, what I thought it was to be Dutch or Egyptian, despite growing up in Zambia and only visiting both countries once or twice a year. Yet these representations were so strong that I continue to struggle with them today as I attempt, consciously and unconsciously, to unlearn both the positive representations of the Netherlands and the negative representations of Egypt, both of which lacked nuance. This is precisely what Stuart Hall speaks of when he says that representations are powerful because they not only are imposed by a dominant force, but become internalized and almost constitutive of the ways in which being dominated conceptualize themselves and the world. Moreover, these representations do not just have effects on personal identification. They also have deep and lasting material consequences that are expressed economically, politically and socially. “Where Africa was a case of the unspoken, Europe was a case of that which is endlessly speaking—and endlessly speaking us. The European presence interrupts the innocence of the whole discourse of ‘difference’ in the Caribbean by introducing the question of power. In terms of colonialism, underdevelopment, poverty and the racism of colour, the European presence is that which has positioned the black subject within its dominant regimes of representation: the colonial discourse, the literatures of adventure and exploration, the romance of the exotic, the ethnographic and traveling eye, the tropical languages of tourism, travel brochure and Hollywood, and the violent, pornographic languages of ganja and urban violence. How can we stage a dialogue with Europe so that we can place it, without terror or violence, rather than being forever placed by it?” (Italics mine. 1990, 233). Hall, Stuart. “Cultural identity and diaspora.” Identity: Community, culture, difference 2 (1990): 222-237. He writes: “I was born into and spent my childhood and adolescence in a lower-middle-class family in jamaica. I have lived all my adult life in England, in the shadow of the black diaspora—‘in the belly of the beast.’ I write against the background of a lifetime’s work in cultural studies. If the paper seems preoccupied with the diaspora experience and its narratives of displacement, it is worth remembering that all discourse is ‘placed,’ and the heart has its reasons,” (1990: 223). See: Said, Edward. “Orientalism. 1978.” New York: Vintage 1994 (1979). Hall, Stuart. “Gramsci’s relevance for the study of race and ethnicity.” Stuart Hall: Critical dialogues in cultural studies (1996): 411-440. See: Patnaik, Arun K. “Gramsci’s Concept of Common Sense: Towards a Theory of Subaltern Consciousness in Hegemony Processes.” Economic and Political Weekly (1988): PE2-PE10. Sara Salem: Sara Salem is a PhD researcher at the Institute of Social Studies in the Netherlands and a Visiting Scholar at UC Berkeley. Her interests include decolonial theory, third world feminism, critical political economy, and theories of post-development.